WARNING, Trader's Buddy is a scam, stay away! WARNING, Trader’s Buddy is a scam, stay away! In this Trader’s Buddy review we explain why you should not trade binary options with this program. Trader’s Buddy is an online platform for binary options that allows social trading and it also has a semi and a fully automated trading mode. The trading algorithms are allegedly proven and winning. There is also an education center that should allow you to master the markets. And Trader’s Buddy is free, allegedly for only 500 beta testers. 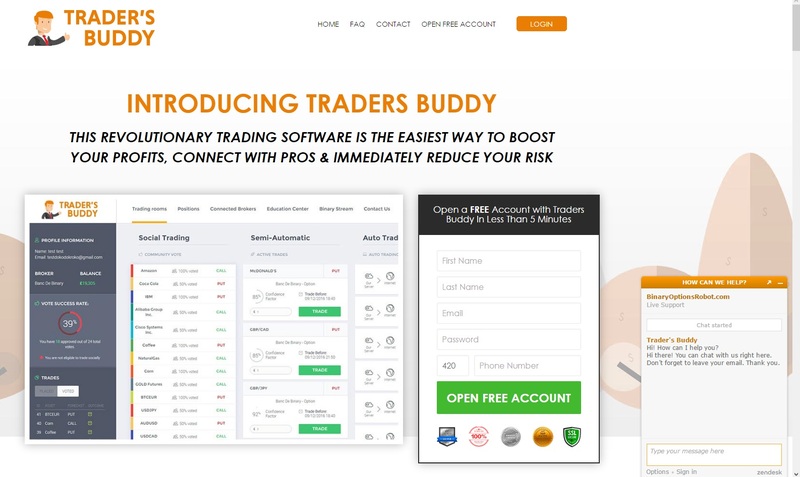 We only needed a quick look at Trader’s Buddy to see that it is run by the same people as Binary Options Robot, which is a proven scam. This inevitably means that Trader’s Buddy is a scam too. It’s the help chat that revealed the true origin of this program, look at the picture. Because otherwise the owners are hiding their identity, there is no real contact information, which is already a huge warning sign for an investment program. 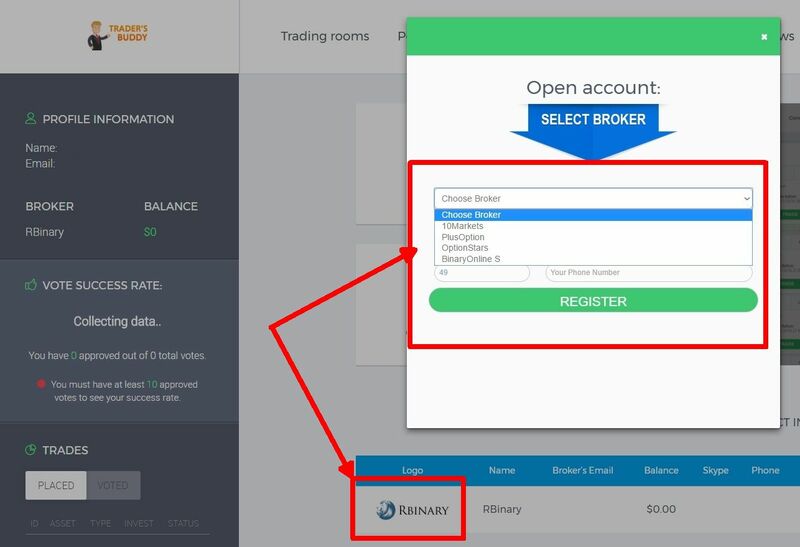 One of the common lies that scammers use is that their trading program is free, meanwhile after registering you have to deposit money with one of their brokers, otherwise you won’t be allowed to use the software. This is exactly the case of Trader’s Buddy. Until you deposit money with one of the brokers from their list, the software won’t be active. This means two problems. The first is that you are forced to trade with unregulated brokers (one allegedly has a Vanuatu license, but it is the same as nothing from the point of view of funds protection etc.). You cannot chose your broker freely. The second problem is that you cannot test the performance of Trader’s Buddy, you have to risk your own money since the first trade. This means that if the software doesn’t work as expected, you will be immediately losing your money. And based on our vast experience with binary options programs we can safely assume that it exactly what will happen if you let Trader’s Buddy trade with your money. No matter what people from Trader’s Buddy say, their software is absolutely not unique. In fact it is an app that is widely used by binary options scams. Look at the picture and you will see that Tratika, United Trading and Binary Copier all use exactly the same software and they are all scams. This software has no licence whatsoever, so it cannot be legally offered in any country with a solid financial regulation, for example EU countries, the US, Australia, Japan etc. Secrets to master the markets? Trader’s Buddy should offer added value in the shape of education and expert advice. We had a look at the education center and all we could see was a few videos about how to use the platform. So no real valuable information that could help you to improve as a trader. And the experts? Who are they? What is their background, experience and track record? Has anybody seen them? No, it is all anonymous. We suspect the platform generating some random trades and hiding them behind fictitious identities. What Trader’s Buddy does is investment services and investment advice. And these are activities that are regulated in all countries with a solid financial regulation. So if you live in such a country, Trader’s Buddy needs a license issued or recognized by your national regulator. But Trader’s Buddy of course has no license whatsoever, so it cannot offer its services legally in the majority of countries of the world. 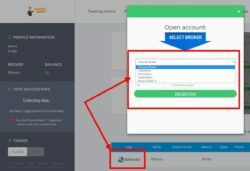 We have reviewed more than 500 binary options scams and they all have one thing in common – they push you to deposit money with a broker that you cannot choose. This is because people behind these scams have a few affiliated brokers that pay them for referring new depositors. This is what is this scam business about, about earning affiliate commissions for making you deposit somewhere. And Trader’s Buddy is obviously the same, they have their unregulated brokers that they push you to deposit with, because this is how they earn money. Trader’s Buddy is a scam. Its only aim is to make you deposit money with an unregulated broker. Then your money will be at mercy of a losing software. If you are serious about earning money in trading, try a free demo account with a regulated broker. Learn and test on the demo until you can trade profitably. Only then you can trade with real money. If you don’t succeed on the demo, quit trading.